Tesla is very hacker-friendly, if we can use that term – just last year the company increased the payout for any reported vulnerabilities in their vehicles to $15,000 and this week they took it one step further by deciding to give away a Tesla Model 3 to anyone who managed to find a way inside the car’s system. The initiative took place during the Pwn2Own, an annual hacking and security conference, making Tesla the very first automaker to ever take part in the event. 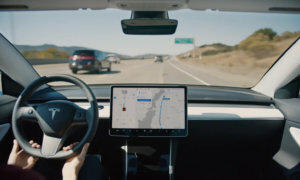 It was only on the last day that someone eventually managed to make their way through the Model 3’s infotainment system: a team that dubbed itself ‘Fluoroacetate‘ and is comprised of Amat Cama and Richard Zhu. 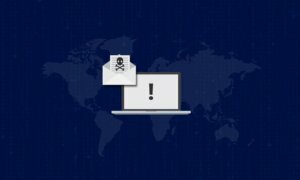 Of course, neither the team or Tesla detailed how the hack was possible and what weakness the duo took advantage of to enter the system – the only thing they offered to the curious public was that they used a JIT (just-in-time complier) bug that they introduced in the renderer for the car browser. JITs work by bypassing the memory randomization data and thus exploits memory corruption vulnerabilities. The duo left with the car and Tesla will, of course, release a software update that will fix the weak spots the hackers have discovered.